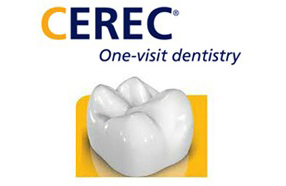 CEREC (Chairside Economical Restoration of Esthetic Ceramics) epitomizes single visit dentistry. With only one appointment, patients can come in with a problem tooth and then leave with it completely repaired. No messy impressions and no need for a secondary follow up appointment. The CEREC machine utilizes complex 3D imaging software, infrared cameras and a milling unit to make restorations easier, faster, and more accurate. The CEREC machine can create any permanent, single-tooth ceramic restoration, including crowns, onlays, veneers and fillings. The entire CEREC procedure is completed in a single visit with no need for a follow-up appointment. Your CEREC dentist will remove decayed tissue from the damaged tooth. Next, they will take a a picture of the damaged tooth using a CEREC camera. The CEREC camera will then use CAD technology to create a 3D virtual mold of the damaged tooth. There are no impressions or powders needed for this procedure. Your dentist will review the mold to make sure that it is accurate. Once the mold is approved, it is then sent across to our on-site milling unit, which will then process the 3D image and create the new restoration from a cermic/porcelain block. Your dentist will place the final crown before you leave the office. The process will usually be completed in under 30 mins. 1. CEREC Crown: This is placed over the tooth to perform a protective layer and prevent further damage to the tooth. 2. CEREC Onlay: Sometimes a complete crown restoration is not needed. A more suitable treatment may be a CEREC onlay. This restoration is placed only over the damaged cusps (bumps on top of your teeth). 3. CEREC Inlay: CEREC inlays will fit between the damaged cusps on your teeth. Inlays and onlays are a preferred CEREC treatment option (where possible) as they allow you to maintain your natural tooth structure. CEREC crowns conserve tooth structure, require fewer injections, less drilling, and less time out of your schedule. Strong, tooth-colored ceramic materials are used in restorations. Repairs teeth that have too much damage to be restored by regular fillings. 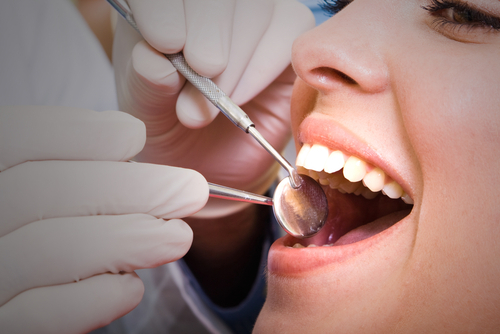 Compared to silver fillings, CEREC is healthier for gum tissue, and less traumatic on teeth. Comfort! Restorative materials closely match the composition of natural teeth, which means they react to heat and cold the same way natural teeth do. For more information about CEREC same-day restorations, visit the CEREC Online website.